Resources for Healthy Lifestyle: How to get rid of armpit odour? How to get rid of armpit odour? I have been having problem with underarm odor for many years or armpit odour. I have tried using commercial deodorants or antiperspirants but thinking of switching to more natural solutions. Any one have other suggestions? Did you tried any method that works well? 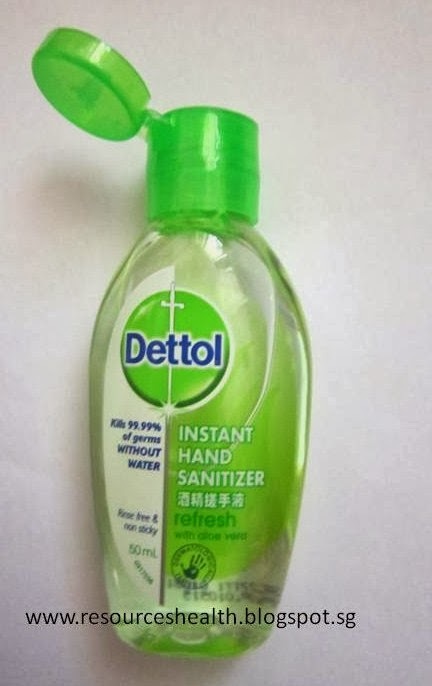 Hey, I bought Dettol Instant Hand Sanitizer to try out and it works! It kills 99.99% germs without water. I squeezed the hand sanitizer gel of the size of a thumbnail and rub it on my armpit or underarm. I do so for both armpit or underarm. It has a nice aloe vera smell. I have started to use yesterday afternoon and found that it can help to keep away my armpit odour for about 4 hours. I am going to try for another few days. Hey, for the last 3 weeks I have been using this Dettol Hand Sanitizer to remove my armpit ordor or remove underarm smell and it works very well! I use it every 4 hours or 6 hours and it successfully get rid of the armpit ordour.